Shaun, aka The Tech Guy, aka my boyfriend, is here with another must-read “manly” review. He’s twenty-seven with normal-to-dry skin and suffers from no more acne (much to my envy!). I haven’t used a straight razor in a long time. In fact, I tend to put off shaving as much possible. 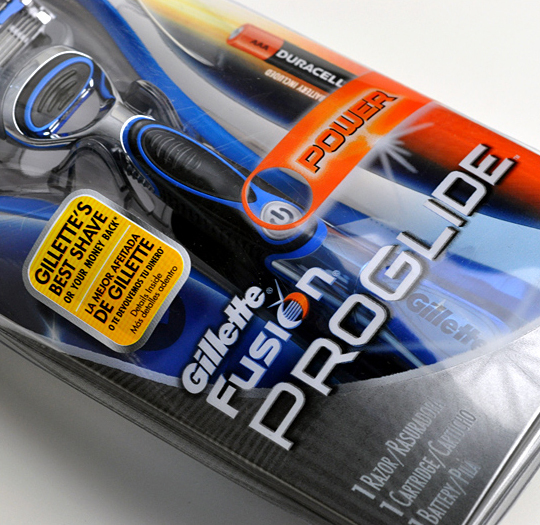 I tried Gillette’s ProGlide ($12.99) with a bit of reluctance because of the bad memories of shavings past. They came to me in the night much like the story of Scrooge. Each one was scarier than the last, but I persevered! I used it reluctantly and induced Christine into a double blind test. How did I do this–no doubt you’re wondering–first, I did the two finger eye poke ala Ric Flair (ladies love wrestling references right?). After jabbing her eyes and doing the Ric Flair strut, I grabbed her hands and put them on either side of my face. She determined that the buzzed side was a bit smoother, and then she proceeded to point towards the ceiling. Upon observing what she was pointing at, I took a knee to the most sensitive area on a man’s body. The solar plexus. 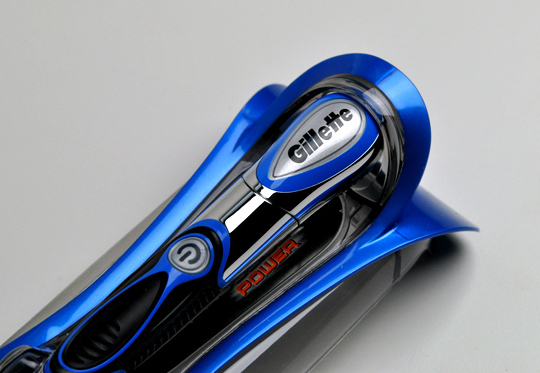 This razor is very… Car-like (thanks reader, Proximity! ): it’s chrome and has various gripping mechanisms all over its exterior. The problem with the chrome is upon getting it wet, it becomes slippery and could cause major or minor facial reconstruction upon slippage. 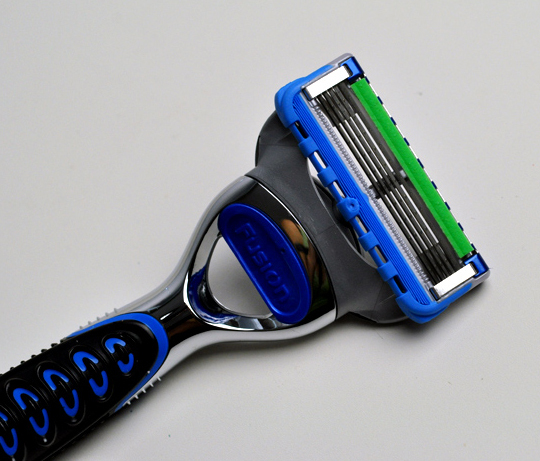 After three or four usages, the green strip at the top of the replaceable portion of the razor is already half white. This indicates that it is nearing the end of its lifetime. 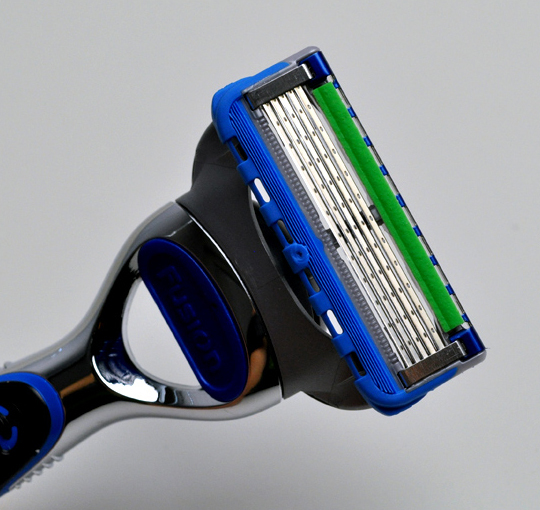 This is a bit quick for me, however, no one is forcing you to replace the cartridge, but getting only five or six shaves at full strength is a bit on the weak side. Recommendation: It might be time to give the straight edged razor a try again electric fans. I think I’ll be sticking with it for the time being. This particular razor seems like a solid and reasonably price option. Give it a shot. 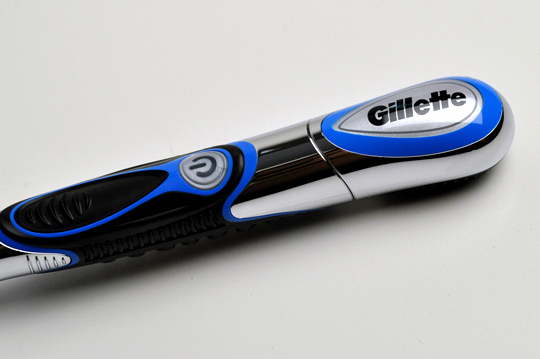 HAHA my husband uses the same razor, we both only use Gilette antiperspirant. Does he have a facebook, tell him thanks for keeping us updated. Hey, I got a shout out! And you posted about Ric Flair, LOL. Thanks Shaun! I actually prefer men’s razors for shaving my legs so this review is super helpful! I actually prefer many of the men’s skincare products. I hate girly packaging. 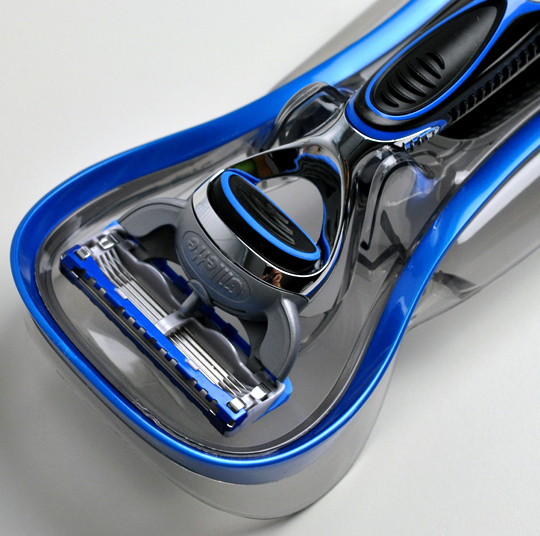 So it’s not just men who want efficient and sleek manly designs for their beauty products! Men’s razors are the best because they generally lack those stupid moisturizing strips that break my legs out! Generally though, I shave with some one bladed disposables. 4 bucks for a pack of 10? Lasts about 40 shaves? Totally worth it. I hate having to replace 3-4 bladed razors cause they’re SO expensive! And they dull so quickly too! Isn’t it funny how they just keep adding blades though? 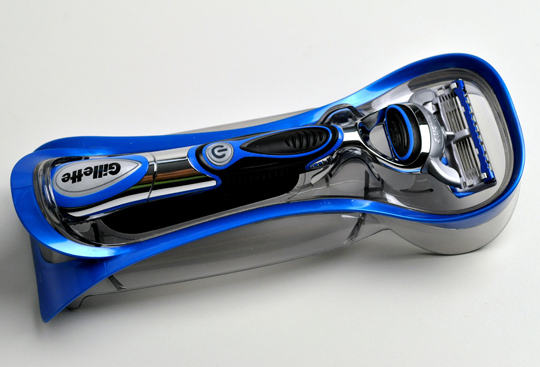 Eventually we’re going to end up with so many blades on one razor that you shave your whole leg in one stroke! I agree men’s razors are the best! LOL Love the Flair reference. Used to work with him. U fotgot the Flair FLOP! 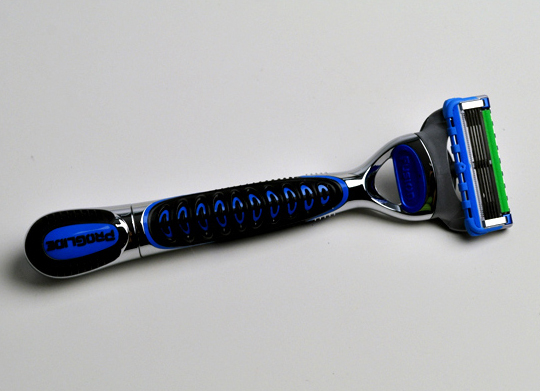 My husband has this razor. I use it all the time but shhh don’t tell him lol! Thank you for your continued service to mankind! lol. so I’m totally hearing Flair’s “WOOOOOOOO!” and imagining this whole thing. thanks for the laughs. 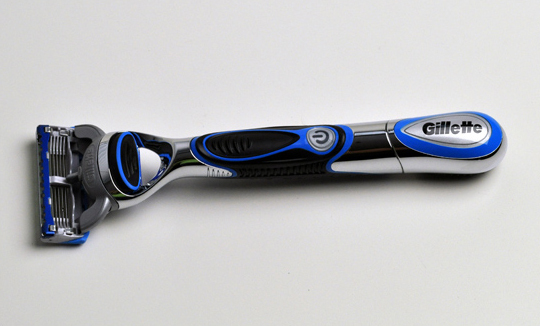 It sounds a little complicated… the idea of a “vibrating razor” also kind of puts me off. But if it’s good enough for your inner Ric Flair, it’s good enough for me!